While all of the individual preventive services were covered by most (28) state Medicaid programs in 2013, many states charged cost sharing for at least some of the services. 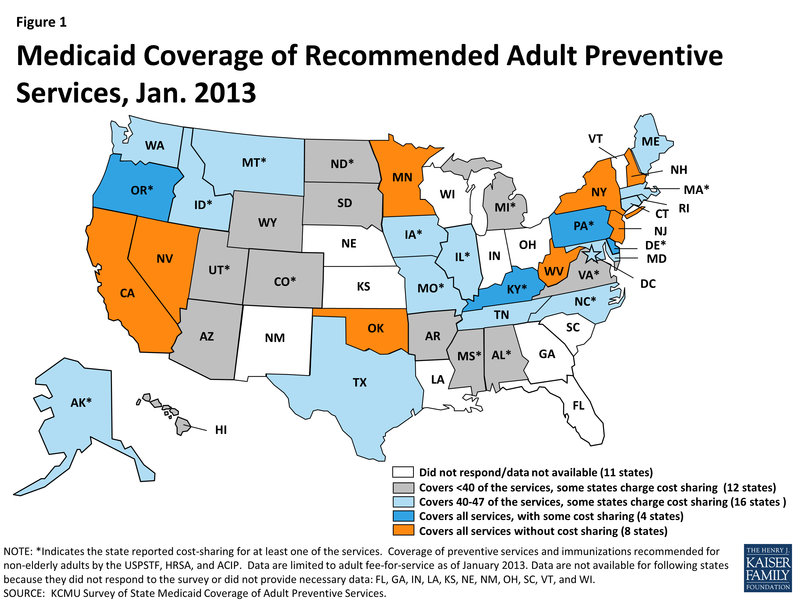 Eight states (Figure 1) reported covering all 47 of the preventive services in this survey without cost sharing (California, Minnesota, Nevada, New Hampshire, New Jersey, New York, Oklahoma, and West Virginia). Several more states are close to qualifying for the higher matching rate. Four states cover all of the services but charge cost sharing for at least one of the services. Another 16 states cover at least 40 of the services but may charge cost sharing for some. More than half of the responding states reported they cover all STI counseling services and immunizations without cost sharing. Most also cover all pregnancy-related services, which are not subject to cost sharing. 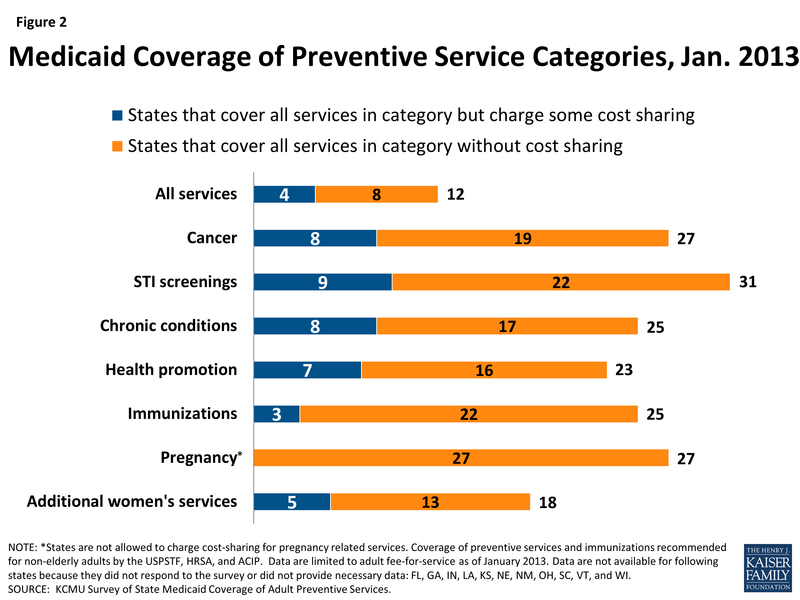 The majority of states reported covering all of the services in the other categories subject to the enhanced match (cancer screenings, health promotion, chronic conditions), but several states were charging cost sharing for at least one service (Figure 2). Each individual preventive service was covered by at least half and in many cases two-thirds of reporting states.